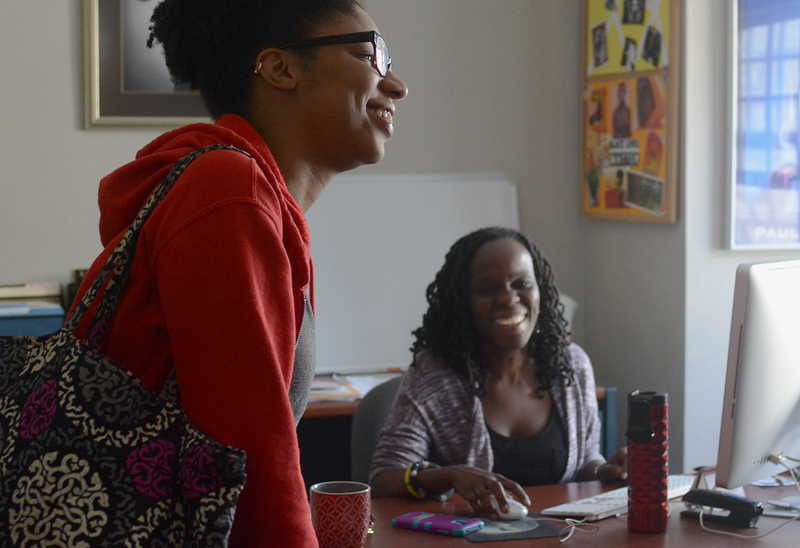 MU graduate student Symone Lenoir(cq), left, stops by MU associate professor Stephanie Shonekan’s(cq) office to talk about Lenoir’s courses on Friday, March 11, 2016, in Shonekan’s office in Gentry Hall. Lenoir often comes to talk about school and personal matters with Shonekan. Shonekan(cq) said as a student, she beelined to black faculty because she felt they understood her concerns and now mentors a number of black students.